Seeds? Check! Soil? Check! Fertilizer? Check! 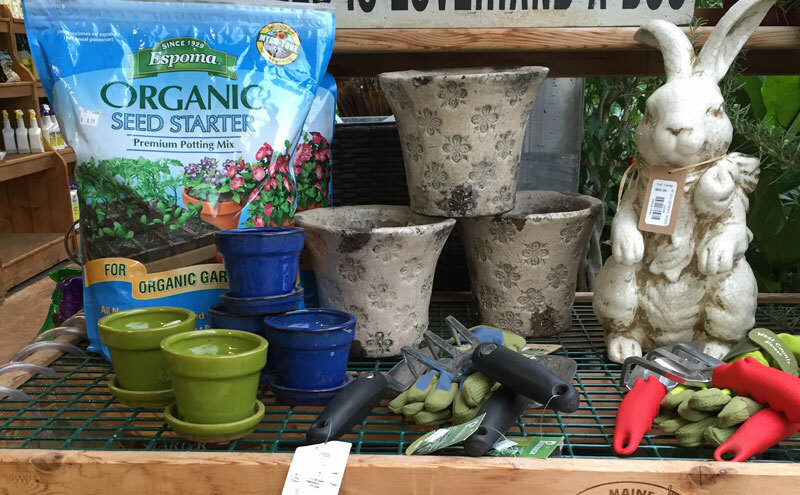 The Farm at Green Villages has all the basics, and the not-so-basic garden supplies you may find yourself in need of, or just desiring. Whether you are planting your garden, simply maintaining your lawn, or creating a bird-lover’s paradise, everything you need can be found at The Farm. 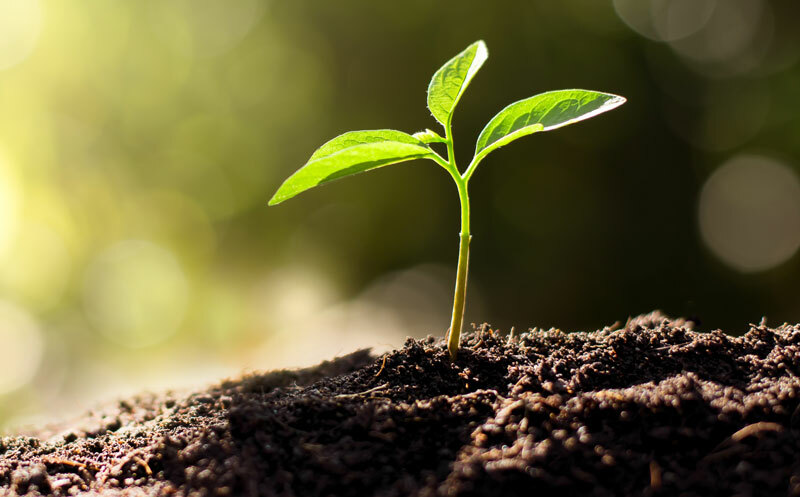 Soils and mulches are the keys to growing a healthy, hearty garden plant, and the Farm has the largest selection of soils, mulches, and other gardening growth aids in the northern New Jersey/New York Metro area. We have all varieties and sizes of potting soil mixes, including organic and moisture control mixes, from top suppliers. Choose from mulches made from quality woods, as well as green moss, peat moss, Spanish moss, Perlite, charcoal and potting bark. We also have composters if you want to make your own soil booster. No need to go searching for hard-to-find items at nursery garden centers, garden and nursery centers, wholesale garden supplies or garden supply stores – it’s all here at the Farm. That’s why we’re the destination of choice for New Jersey’s gardeners! Great lawns start with grass seed. A lush lawn adds beauty and value to your home and gives you a beautiful green carpet on which to enjoy the outdoors. Achieving a beautiful lawn is also something many homeowners spend hours doing with little success. We can design a lawn seeding and lawn care program, featuring Jonathan Green products, which will grow a yard full of thick, healthy grass. 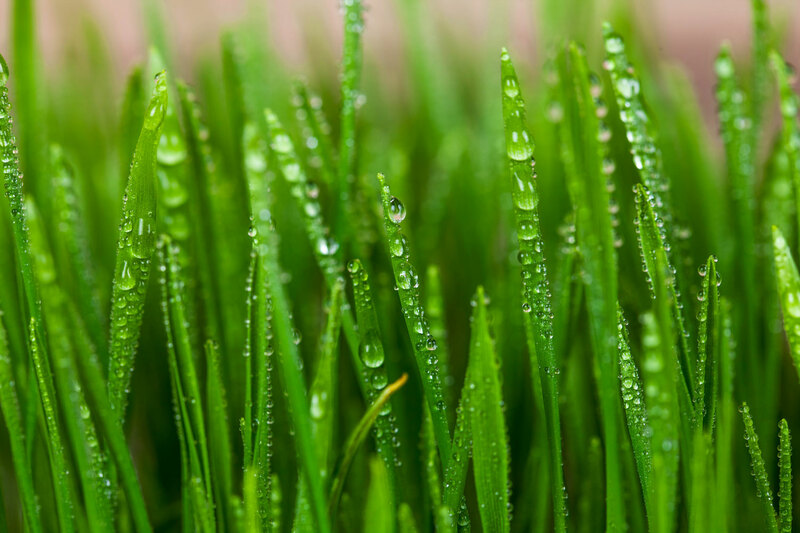 A nice lawn starts with a high-quality grass seed. We carry only Jonathan Green seed because we believe that it has the highest quality and best grass seed mixes for our area. Over the past 25 years, major advances in turfgrass breeding have improved grass seed varieties, making them more resistant to drought, weeds, and insect pests. Jonathan Green lawn seed mixtures contain endophytes which are beneficial microorganisms that reside in the grass root zone and produce chemicals that help the lawn protect itself from harmful insects and fungus. That means you will need less chemical pest controls and lawn fertilizer for your yard, saving you time and money. What’s the Secret to Keeping a Great Lawn? 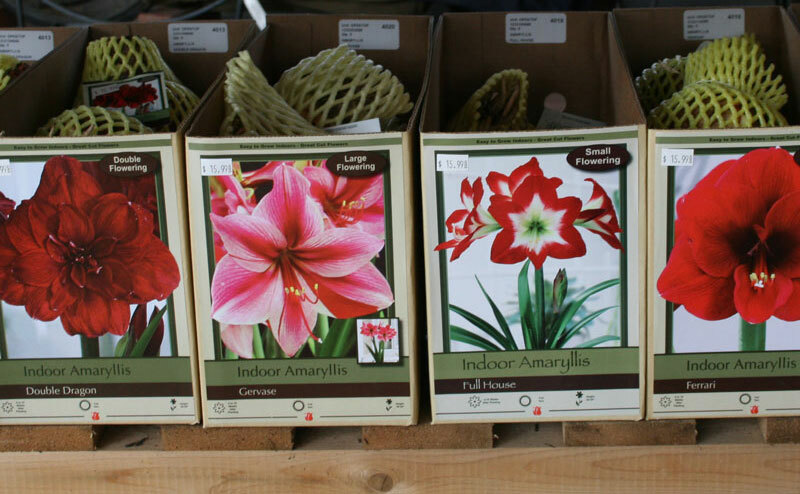 Not only can you purchase already-started plants at The Farm, but we have all your favorite seed packets and bulbs as well. Grow a plant that’s all yours. Start a vegetable garden from scratch, or fill in holes in your garden that the changing seasons may have left behind. Every seed has to start somewhere! While you can simply use an old egg carton or miniature pot to start your plants, we offer a variety of ways to start your seeds off strong. Try our Espoma Organic Seed Starter Potting Soil in a small container of your choice or purchase a Jiffy Greenhouse starter to keep all your seedlings contained. 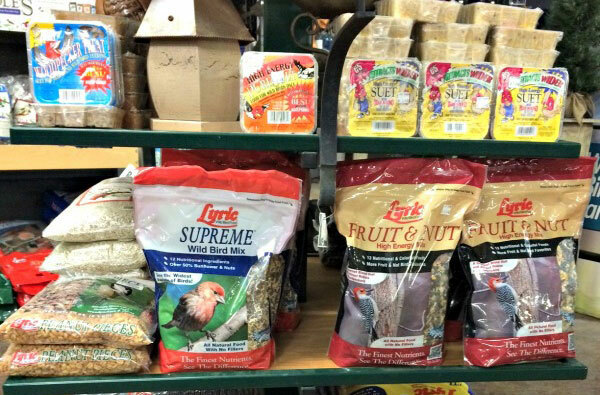 We carry a full supply of year round birding products including bird feed, bird houses, hummingbird feeders, suet, bird food storage containers and squirrel proof bird feeders. Want to attract hummingbirds? Add a feeder to your yard with a sugarwater solution, or read our article on the subject to learn the plants that hummingbirds love. You can find it all right here at The Farm. 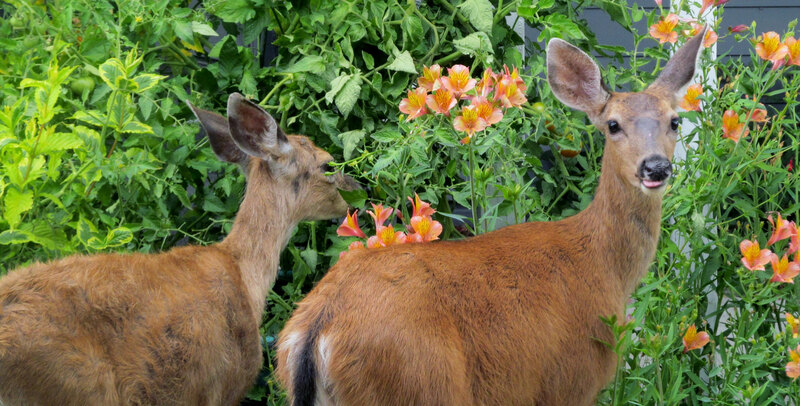 We gardeners aren’t the only ones who enjoy our gardens – So do deer and other hungry animal neighbors. Deer damage can vary dramatically from town to town and neighborhood to neighborhood, and the Farm offers more solutions to problem deer, and deer problems than any yard and garden center in the northern New Jersey/New York Metro area. First, we have dozens of species of trees, shrubs, annuals and perennials, and bulbs for your garden that deer don’t find appealing. Our netting solutions are quick and simple ways to protect your garden plants and trees from foraging deer. We also have a variety of environmentally friendly (and pleasant smelling) repellants made from all natural, recycled ingredients. Choose spray or granular, for application on garden plants, flowers and trees, or use a perimeter barrier product. Our yard and garden experts can recommend the right approach for your yard or garden. Look, they’re deer, they’re here, so deal with it. With our solutions, you and your deer neighbors can live in harmony. It’s all at the Farm, northern New Jersey’s garden supply company and the #1 choice for garden and nursery need. What is the secret to keeping a great lawn? Maintaining a great lawn can be confusing. One secret to a beautiful lawn is the in the timing of each seasonal application of fertilizer and pest control. Our seasonal fertilization program is simple and effective. The first spring application prepares your dormant lawn to wake-up and start growing. While feeding, it also prevents crabgrass seeds from germinating. Late spring and summer applications help your lawn withstand long, hot days while killing the weeds that compete with grass for moisture. Root growth is the target of a fall fertilization program, sustaining the lawn through the winter.